Having a pet is an opportunity to have a friend who will not only accompany you, but will be an important part of your life. Adopting a horse is a very good alternative for those who prefer sensitive animals and values ​​the beauty and great virtues of horses. 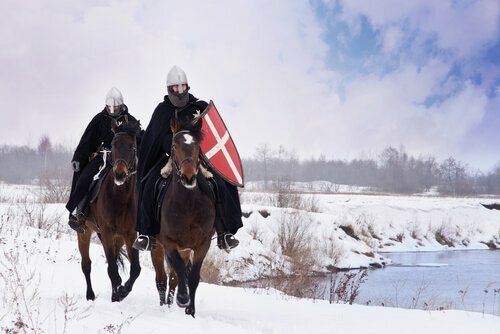 Throughout history , horses have been a fundamental support for man. These horses have helped plow the land and have also served as a means of transportation and cargo. Likewise, they have contributed to communication by carrying messages and have even been protagonists in many battles and wars. Adopting a horse is a measure that can bring great benefits, both for the adopter and the animal adopted. However, some considerations must be taken into account, because although a horse can be a domestic pet, it must have ample space and enough time to adequately care for the animal. Colombian veterinarian Mariana Zuluaga says that horses have been crucial in the definition of history. Since its domestication, he says, they have helped agriculture, to make discoveries, to colonize, to define wars and to combat sedentary lifestyles. For all the above, it can be said that the horse is one of the most important animals in history, if not the most important one. Horses are characterized by their large size. They have an elongated head and neck and, depending on race and height, change the weight and behavior of each one. Larger horses tend to be more docile and quiet, while smaller ones can become stronger. If you are going to adopt a horse, you should know that this is an animal companion that must necessarily have an exclusive space suitable for him . The most suitable is an extension of land or a manger. In addition, like any other pet, horses require time, dedication and care to ensure their welfare and tranquility. On the other hand, you must be aware that adopting a horse establishes a fraternal relationship, kind and affectionate with him. In other words, an emotional bond is formed that, without a doubt, generates happiness for both, but for that reason it requires commitments . If horses are recognized for something, it is for their docility and ability to brighten their master's day. There are other aspects that are essential for the horse to have a welfare environment. Among them we can mention, for example, a balanced diet, the permanent availability of water, the care of their helmets and the frequent visit to a veterinarian. 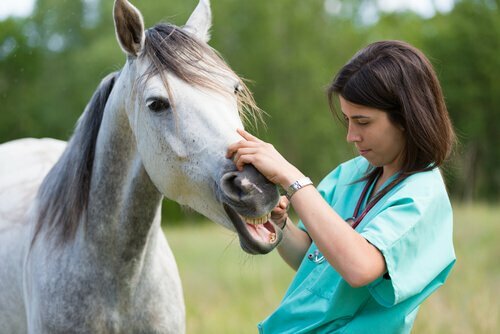 You must be very attentive to the diseases that commonly affect horses , such as colic, respiratory diseases and lameness. Hence, the aforementioned care must be kept in mind to prevent such diseases.While the horse provides great services to humans, it is also true that it requires significant resources in its maintenance. However, the economic should not be a factor that limits your intention to adopt a horse. Especially if you consider that many of them have really had a hard time when -as it happens in many places around the world- they have been forced to go through situations of abuse and excessive work . Especially those that have been used for the traction of cargo vehicles. For this reason, think all the possibilities very well, keep in mind all the information you just read and make the decision to give it > a new opportunity for an equine, which can become a very good friend for you . Also, if you have the time and resources, give yourself the opportunity to share with a being that, without a doubt, will give you many moments of joy and happiness.